Are you in need of a certified fitness leader to lead a warm up or stretch break at your community event? Contact info@nsfitness.ca with the details and we will try to match you with a member in your area. 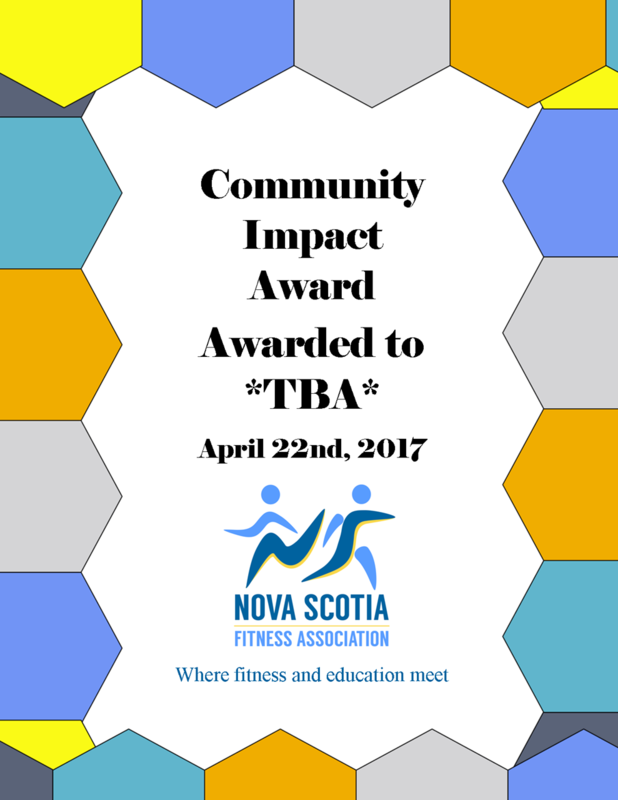 The Community Impact Award will be awarded annually at our Exercise Leadership Summit to an NSFA member in good standing who uses their fitness skills in a volunteer capacity (over and above their paid work) to the betterment of their community. Nominees for this award must complete a nomination form and have letters from 2 references regarding their volunteer work.